Most avid exercisers and athletes are always looking for a new way to challenge their body and increase weight loss and muscle mass. There are so many different exercise methods, fads, and trends around that it can be difficult to decide on one to try at a time. Some of the most popular types today are yoga, Pilates, mixed martial arts, and kickboxing, as well as many other new and up-and-coming workouts. However, possibly what you, as a fitness buff, need is to go back to the basics. 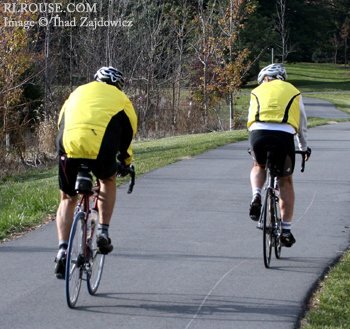 Bicycling has been utilized as a cardiovascular exercise method for the past few decades. The reason it keeps improving and has lasting ability in the fitness world is because it is so great for the heart, lungs, and muscles. Bikers are some of the most fit and intense athletes that there are; the sport is challenging to the cardiovascular system, while also calling for a great deal of leg strength. Though it is intense, it is also a great method for those who have joint or weight problems because it is so low-impact. If you have been utilizing other fitness routines, like aerobics or Jiu Jitsu, why not supplement them with some good old-fashioned bicycle workouts! Whether you make use of a mountain or road bike in the outdoors or stick to the stationary bicycle, you should be able to experience similar results.